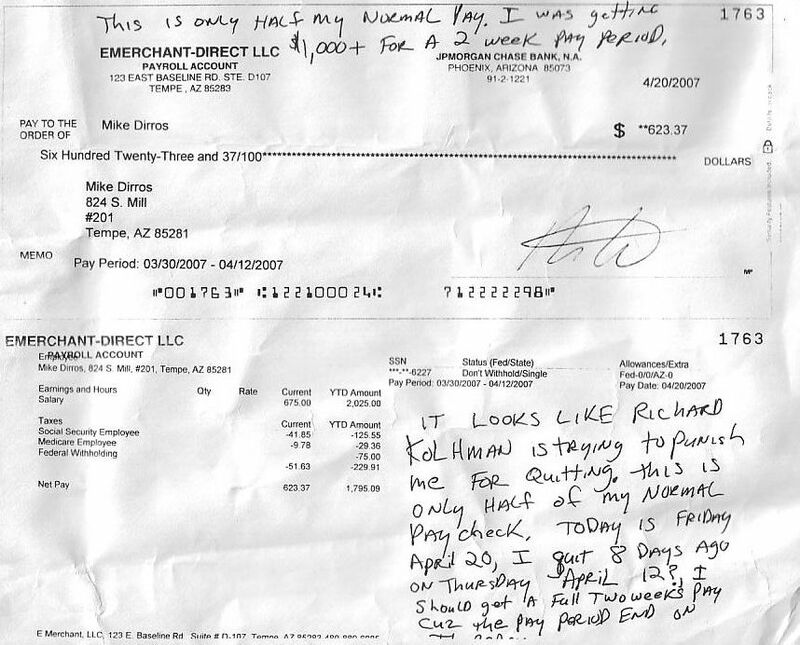 This is the last paycheck I got from Emerchant Direct. He only paid me $675 which is half of the $1,350 he should have paid me. Just to be mean they canceled the check and it bounced. Also notice that the YTD of total wages is wrong. It is only $2025.00 when I made far more then that. I wonder why it is wrong. Did Richard intentionally make it wrong planning on cheating me? Last but not least there is $9.78 from this check with a total of $29.36 withheld for Medicare Employee. What is that for? I bet they are withholding that money and pocketing it? I am not part of Medicare!